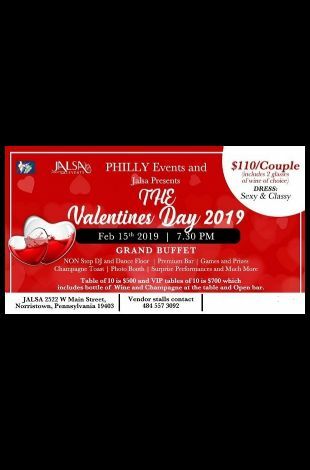 Please note THE Valentines Day PHILLY 2019 occurred in past. Surprise performances and much more!!! Cost is $110/couple which includes a choice of 2 glass of wine from the bar. 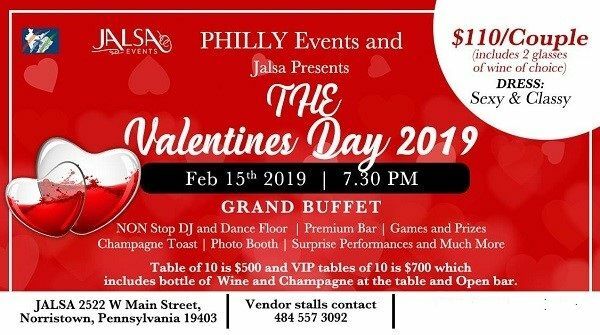 Table of 10 is $500 and VIP tables of 10 is $700 which includes bottle of Wine and Champagne at the table and Open bar.